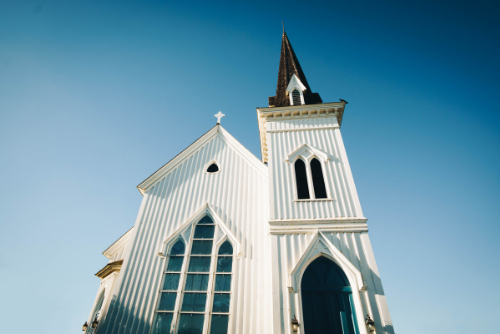 This week Jaquelle and Sean talk more about denominations but start getting into the differences between different denominations — like Baptists and Presbyterians. They also talk about how Sean celebrated the end of his juice cleanse, hear a wedding update from Jaquelle, and learn why the FBI is tracking down Baptists. 06:29: A review of what we talked about last week. 08:32: The things that every orthodox denomination agrees on. 10:41: What do Baptists believe? 28:18: What do Presbyterians believe? Hey Pastor Sean. Thank you for making our conversation into a podcast! You mentioned that in the PCA, our elders govern the church and they make all of the decisions in it. That it is true, but these men are elected by the congregation and they have to be called by God to fill that position so that not any Joe-Shmoe can be a leader that makes crucial decisions. May I ask why Reformed Baptists are Autonomous? See chapter 26 of the 2ndLBC1689, especially paragraph 4 and following. The Apostles led the Church and appointed both Elders and Deacons in the Churches that they helped begin. Do you think that they were out of line by doing that? Scripture even has passages on qualifications for being an elder or deacon. If my comments seem rude or inflammatory, I apologize because that is not my intent at all. Tanner, I am not exactly sure what you mean by your comment about elders and deacons. I think you have misunderstood me, as RBs appoint elders to lead and deacons to serve. Tanner, I think this kind of in-depth conversation is best done in person not in a comment stream. I would encourage you to find a RB in your area to dialogue with. If you can’t do that, I would consult the resources I suggested in an earlier comment. Cheers.